Expertly restored 100 plus year old historic home perfectly suited for events up to 100 guests. Dance under sparkling chandeliers, enjoy a beautiful covered cocktail patio with built-in bar on the second floor to add sophistication and modern charm to any event. 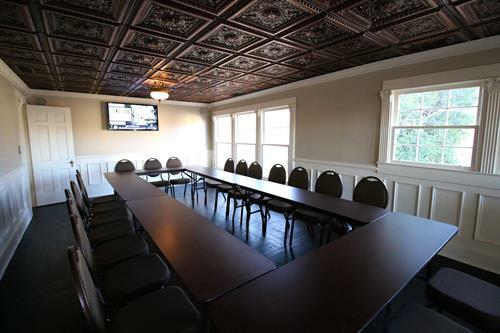 On-site parking and handicap accessibility to the first floor makes this stunning Dahlonega square venue a must for your event. The home also features four bathrooms and is perfect for both formal and informal events.